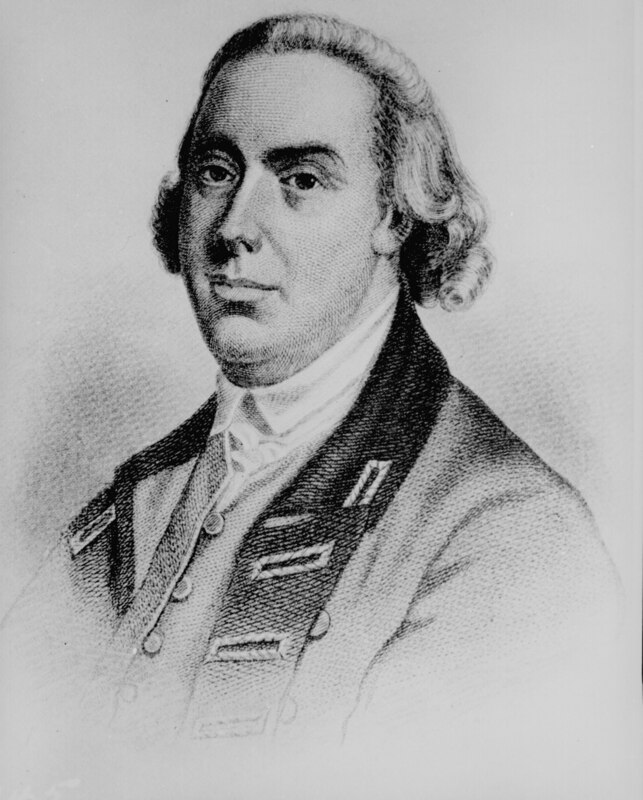 In this General Thomas Gage Proclamation, a pardon is granted to all Massachusetts citizens who were involved in the resistance at beginning at the Battles of Lexington and Concord on April 19, 1775 if they will lay down their arms - EXCEPT for John Hancock and Samuel Adams! In the letter Gage also announces a curfew and talks about the great length to which citizens are willing to go to make it difficult for the troops in Boston. Hancock and Adams were viewed as patriots by citizens across the colonies for earning the right to be EXCEPTED from Gage's amnesty! The Hon. 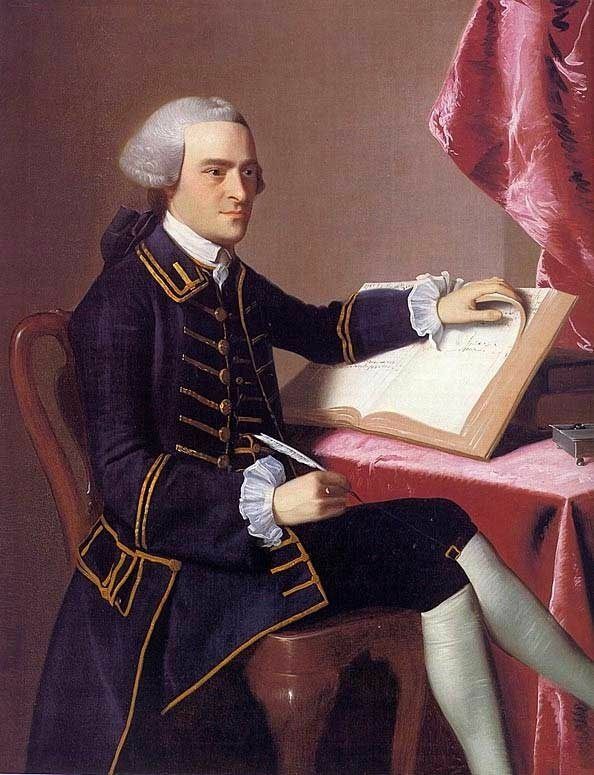 Thomas Gage, Esq; Governor, and Commander in Chief in and over his Majesty's Province of Massachusetts-Bay, a Vice Admiral of the same. WHEREAS the infatuated multitudes, who have long suffered themselves to be conducted by certain well known Incendiaries and Traitors, in a fatal progression of crimes, against the constitutional authority of the state, have at length proceeded to avowed rebellion; and the good effects which were expected arise from the patience and lenity of the King's government, have been often frustrated, and are now rendered hopeless, by the influence of the same evil counsels; it only remains for those who are entrusted with supreme rule, as well for the punishment of the guilty, as the protection of the well-affected, to prove they do not bear the sword in vain. The infringements which have been committed upon the most sacred rights of the crown and people of Great-Britain, are too many to enumerate on one side, and are all too attrocious to be palliated on the other. All unprejudiced people who have been witnesses of the late transactions, in this and the neighbouring provinces, will find upon a transient review, marks of premeditation and conspiracy that would justify the fulness of chastisement: And even those who are least acquainted with facts, cannot fail to receive a just impression of their enormity, in proportion as they discover the arts and assiduity by which they have been falsified or concealed. The authors of the present unnatural revolt never daring to trust their cause or their actions to the judgment of an impartial public, or even to the dispassionate reflection of their followers, have uniformly placed their chief confidence in the suppression of truth: And while indefatigable and shameless pains have been taken to obstruct every appeal to the real interest of the people of America; the grossest forgeries, calumnies and absurdities that ever insulted human understanding, have been imposed upon their credulity. The press, that distinguished appendage of public liberty, and when fairly and impartially employed its best support, has been invariably prostituted to the most contrary purposes; The animated language of ancient and virtuous times calculated to vindicate and promote the just rights and interest of mankind, have been applied to countenance the most abandoned violation of those sacred blessings; and not only from the flagitious prints, but from the popular harrangues of the times, men have been taught to depend upon activity in treason, for the security of their persons and properties; 'till to compleat the horrid profanation of terms, and of ideas, the name of God has been introduced in the pulpits to excite and justify devastation and massacre. The minds of men have been thus gradually prepared for the worst extremities; a number of armed persons, to the amount of many thousands assembled on the 19th of April last, and from behind walls, and lurking holes, attacked a detachment of the King's troops, who not expecting so consummate an act of phrenzy, unprepared for vengeance, and willing to decline it, made use of their arms only in their own defence. Since that period, the rebels, deriving confidence from impunity, have added insult to outrage; have repeatedly fired upon the King's ships and subjects, with cannon and small arms, have possessed the roads, and other communications by which the town of Boston was supplied with provisions, and with a preposterous parade of military arrangement, they affect to hold the army besieged, while part of their body make daily and indiscriminate invasions upon private property, and with a wantonness of cruelty ever incident to lawless tumult, carry depredation and distress wherever they turn their steps. The actions of the 19th of April are of such notoriety, as must baffle all attempts to contradict them, and the flames of buildings and other property from the islands, and adjacent country, for some weeks past, spread a melancholy confirmation or the subsequent assertions. In this exigency of complicated calamities, I avail myself of the last effort within the bounds of my duty, to spare the effusion of blood; to offer, and I do hereby in his Majesty's name, offer and promise, his most gracious pardon in all who shall forthwith lay down their arms, and return to the duties of peaceable subjects, excepting only from the benefit of such pardon, Samuel Adams and John Hancock, whose offences are of too flagitious a nature to admit of any other consideration about that of condign punishments. And to the end that no person within the limits of this proffered mercy, may plead ignorance of the consequences of refusing it, I by these presents proclaim not only the persons above-named and excepted, but also all their adherents, associates and abettors, meaning to comprehend in those terms, all and every person, and persons of what class, denomination or description soever, who have appeared in arms against the King's government, and shall not lay down the same as afore-mentioned, and likewise all such as shall so take arms after the date hereof, or who shall in any-wise protect or conceal such offenders, or assist them with money, provision, cattle, arms, ammunition, carriages, or any other necessary for subsistence or offence; or shall hold secret correspondence with them by letter, message, signal, or otherwise, to be rebels and traitors, and as such as to be treated. To these inevitable, but I trust salutary measures, it is a far more pleasing part of my duty, to add the assurances of protection and support, to all who in so trying a Crisis, shall manifest their allegiance to the King, and affection to the parent state. So that such persons as may have been intimidated to quit their habitations in the course of this alarm, may return to their respective callings and professions; and stand distinct and separate from the parricides of the constitution, till God in his Mercy shall restore to his creatures, in this distracted land, that system of happiness from which they have be seduced, the religion of peace, and liberty founded upon law. GIVEN at BOSTON, this Twelfth Day of June, in the Fifteenth Year of the Reign of his Majesty GEORGE the Third, by the Grace of GOD, of Great Britain, France and Ireland, KING, Defender of the Faith, & Anno Domini, 1775. Read more about John Hancock and Samuel Adams here.